Basement mold. You probably know if you have it. Homeowners usually discover basement mold and mildew on their own. It may be visible on walls or baseboards, or there may be a smell. 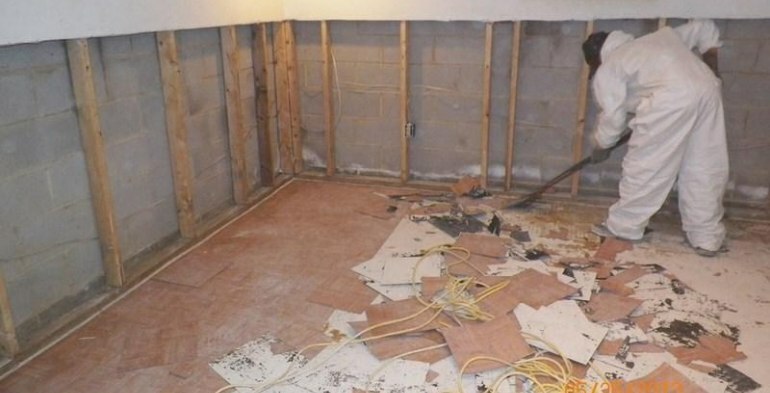 If If you can see basement mold, removal is necessary. That is any porous material, including wood framing, sheet rock, insulation and carpeting. These materials get wet, the mold spores feast, and suddenly, you’ve got mold, possibly the infamous ‘black mold‘. These issues, coupled with other mold-friendly conditions, created mold in the basement and must be corrected. the cause, eliminate the mold. The basement mold abatement process in finished basements includes removing damaged carpets and sheet-rock, which we’ll also haul away for you. We leave timber framing exposed 4′ from floor, eliminating a future breeding ground. All our basement mold removal products are environmentally friendly, and very green!